Stroke is a global epidemic with levels of mortality and disability that entail a high societal cost. Approximately 70% of stroke survivors have significant sensorimotor, language, and cognitive dysfunction requiring long-term special care and rehabilitation. The measurement of ischemic stroke lesion volume is an important endpoint in clinical studies, and can be used to improve diagnosis, prognosis, and guide therapeutic intervention. Longitudinal analysis of stroke lesions can also be performed to monitor stroke recovery or regenerative treatment efficiency in case of clinical trials. 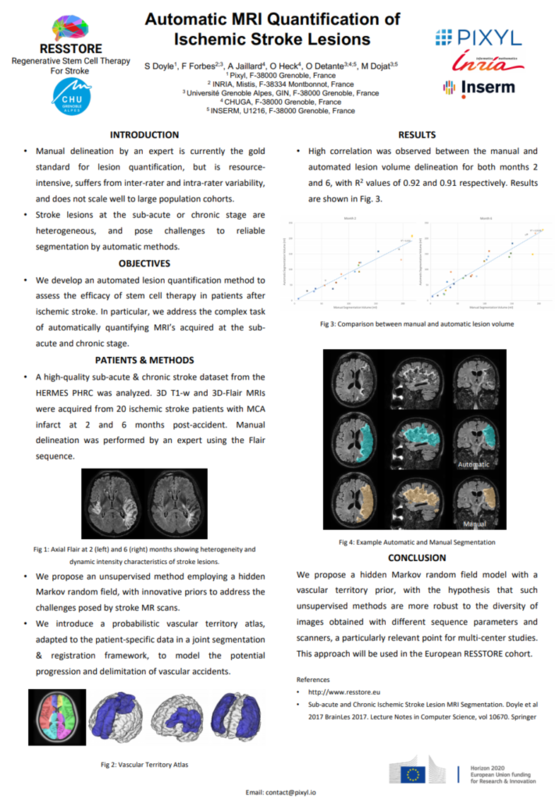 Longitudinal analysis of stroke lesion .